“The new bottle shape and packaging design is a radical move from its former traditional look. The design embraces its traditional heritage with the use of a thick base bottle to keep its weight and premium status, while the oval bottle shape is more simple and stylish to easily hold in one hand. Presented in beautifully pearlised packaging, the unique bottle shape and the use of strong contemporary colours aim to maximise its on-shelf presence and present a recognisable product range. 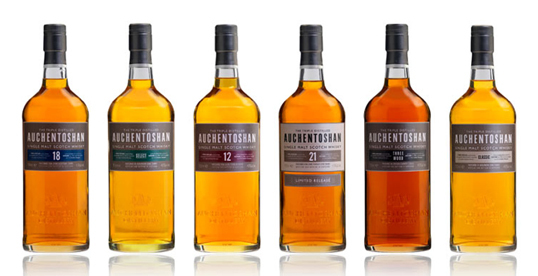 I was just browsing through some of the good designs throughout the “lovelypackage” website and came across Auchentoshan…which was designed by me, Craig Mackinlay at Breeze Creative. 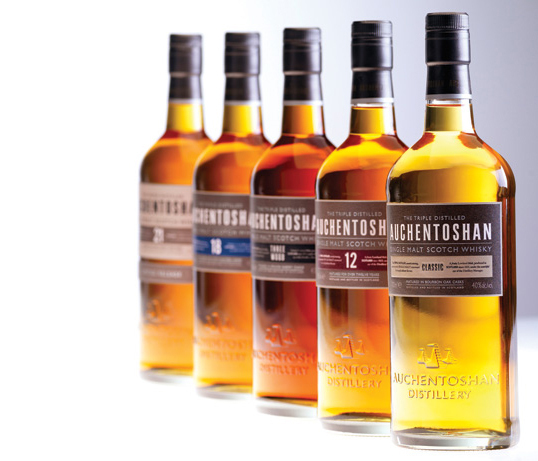 This redesign of Auchentoshan has gone down really well, plus won several design awards. My son presented me with a bottle of Scotch I had never heard of. Yours! The “Classic.” It was so good. My son knows I am a Scotch lover, so he presented me with the perfect birthday present. It is my brand now.Cheers! !